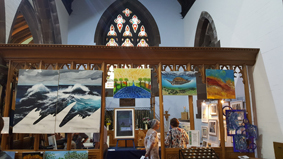 The Art Exhibition is one of the much anticipated annual events, and is an opportunity for local amateur artists to feature their work. 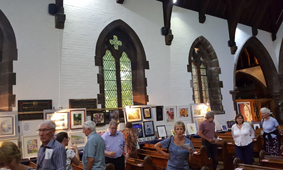 This year’s exhibition begins on Wednesday 3rd July from 10am to 4.30pm. 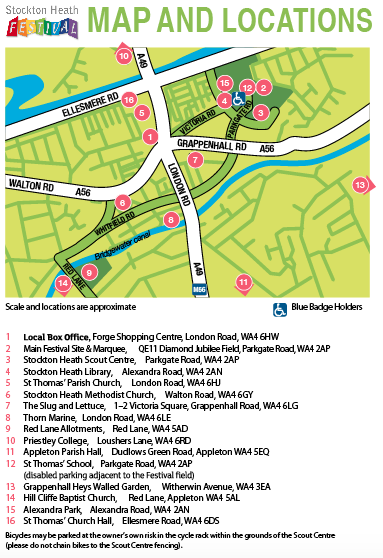 Here’s how to find St Thomas’ Church, WA4 6HJ. If you are an amateur local artist, you are invited to submit your work of mixed media. For entry details please email helenjayne.dutton@virginmedia.com, phone 01925 601904 or 07983 413630. The judges will choose first and second prizes of £100 and £50 respectively, and the public will be able to vote for their favourite to win the Tudor Pole Award. Refreshments are available and programmes can be bought at the door for £1. Thank you to the Rotary Club of Warrington for sponsoring this event.